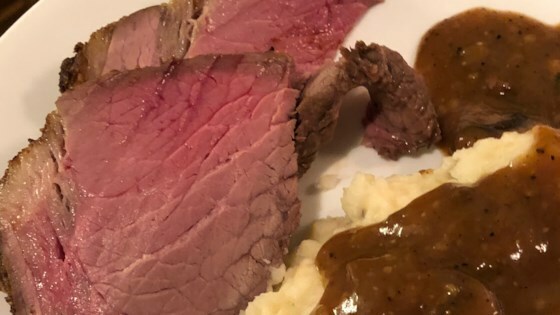 "Eye of round roast is roasted at 500 degrees F. This recipe takes a very tough piece of meat and makes it so tender and delicious. Feel free to improvise with the seasonings and use garlic salt in place of regular salt. The easiest roast you'll ever cook!" Roasting in a hot oven makes this roast very tender.